China Life Insurance Company Ltd. (ADR) (LFC): Hedge Funds Are Bullish and Insiders Are Bearish, What Should You Do? 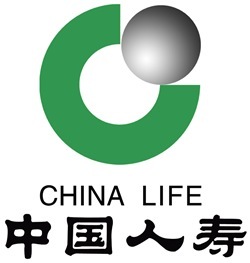 China Life Insurance Company Ltd. (ADR) (NYSE:LFC) has experienced an increase in activity from the world’s largest hedge funds of late. In today’s marketplace, there are dozens of metrics shareholders can use to monitor the equity markets. A duo of the most underrated are hedge fund and insider trading movement. At Insider Monkey, our studies have shown that, historically, those who follow the top picks of the top hedge fund managers can trounce the broader indices by a very impressive margin (see just how much). Just as key, optimistic insider trading activity is another way to parse down the stock market universe. Obviously, there are lots of incentives for a corporate insider to sell shares of his or her company, but only one, very simple reason why they would initiate a purchase. Several academic studies have demonstrated the impressive potential of this tactic if “monkeys” know where to look (learn more here). With these “truths” under our belt, let’s take a glance at the recent action surrounding China Life Insurance Company Ltd. (ADR) (NYSE:LFC). How are hedge funds trading China Life Insurance Company Ltd. (ADR) (NYSE:LFC)? At year’s end, a total of 6 of the hedge funds we track held long positions in this stock, a change of 50% from one quarter earlier. With hedge funds’ sentiment swirling, there exists an “upper tier” of key hedge fund managers who were upping their holdings meaningfully. According to our comprehensive database, Arrowstreet Capital, managed by Peter Rathjens, Bruce Clarke and John Campbell, holds the most valuable position in China Life Insurance Company Ltd. (ADR) (NYSE:LFC). Arrowstreet Capital has a $29.7 million position in the stock, comprising 0.2% of its 13F portfolio. Sitting at the No. 2 spot is Louis Bacon of Moore Global Investments, with a $2.2 million position; 0.1% of its 13F portfolio is allocated to the stock. Other peers with similar optimism include Jane Mendillo’s Harvard Management Co, Mike Vranos’s Ellington and Ken Griffin’s Citadel Investment Group. As aggregate interest increased, key hedge funds were leading the bulls’ herd. Ellington, managed by Mike Vranos, created the largest position in China Life Insurance Company Ltd. (ADR) (NYSE:LFC). Ellington had 0.7 million invested in the company at the end of the quarter. Ken Griffin’s Citadel Investment Group also made a $0.4 million investment in the stock during the quarter. What have insiders been doing with China Life Insurance Company Ltd. (ADR) (NYSE:LFC)? Insider trading activity, especially when it’s bullish, is at its handiest when the company in question has seen transactions within the past six months. Over the last 180-day time frame, China Life Insurance Company Ltd. (ADR) (NYSE:LFC) has seen zero unique insiders buying, and zero insider sales (see the details of insider trades here). Let’s also take a look at hedge fund and insider activity in other stocks similar to China Life Insurance Company Ltd. (ADR) (NYSE:LFC). These stocks are Manulife Financial Corporation (USA) (NYSE:MFC), Prudential Financial Inc (NYSE:PRU), ING Groep N.V. (ADR) (NYSE:ING), Prudential Public Limited Company (ADR) (NYSE:PUK), and Metlife Inc (NYSE:MET). This group of stocks are in the life insurance industry and their market caps are similar to LFC’s market cap.